Late LDS Church President Gordon B. Hinckley received 10 honorary doctorate degrees, spoke at multiple college graduations and served as chairman of the board of trustees of a major private university. 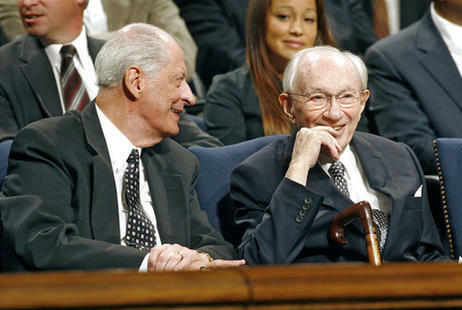 Thanks to a new study four years following his death at age 97, his voice literally still reverberates in Utah's halls of higher learning. 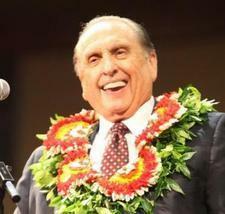 Hinckley, president of The Church of Jesus Christ of Latter-day Saints from 1995-2008, delivered 36 speeches at Brigham Young University during the final five decades of his life. The audio recordings from those discourses provided researchers from the National Center for Voice and Speech at the University of Utah with a treasure trove of data for a new study about how an individual's voice changes with age.